We got some quality hands-on time with a variety of the latest and greatest titles at E3. Some of the bigger games we saw have embraced co-op in the past, but for whatever reason they weren't showing, or even mentioning, co-op. I did manage to get some information (albeit unofficial) for two triple-A titles. Capcom Vancouver, the developers of Dead Rising 3, wouldn't go into specifics, but when I brought up co-op a producer smiled and said "We know it's more fun to kill zombies with a friend." They wouldn't give me any more information than that, but I think we can expect a co-op experience similar to the two player online co-op mode in Dead Rising 2, at the very least. I don't know if there will be a second playable character, but I'm ready to put Nick Ramos in a dress and chop up some zombies with a buddy. The weapon crafting system makes a return. I'm sure Capcom is hard at work trying to figure out how many insane weapon combinations they can come up with. The new Smart Glass feature looked interesting, but I don't know why it couldn't simply be incorporated into a menu screen, similar to the way every game ever treated PDA-like devices in the past. Oh yeah, I forgot. The endless quest to make you buy more stuff. Never mind. 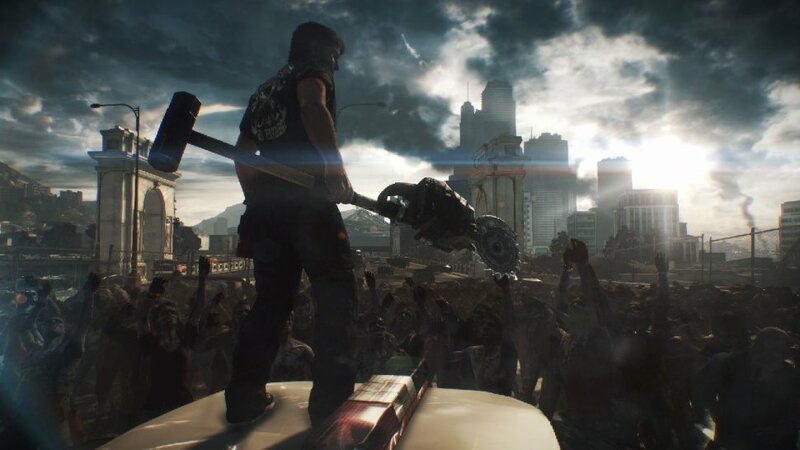 Dead Rising 3 will be an Xbox One launch title. We'll keep you updated with all the co-op details. I got a good look at Assassin's Creed: Black Flag's multiplayer, which is something of a novelty as far as PvP goes in today's games. The cat and mouse gameplay is intact, and the pirate-themed players and environments felt more fun than the stuffy Assassin's Creed 3 options. I asked one of the developers if the Wolf Pack co-op mode was returning. They said it is coming back, and it's "better than ever," but that's all they would tell me. We'll add it to the database once we get more information. I really enjoyed the Wolf Pack mode in Assassin's Creed 3. Actually, that's just about the only thing I liked in the game. You can fulfill that weird pirate fantasy you don't like to talk about on October 29th when Assassin's Creed Black Flag launches on the Xbox 360, Xbox One, PlayStation 3, PlayStation 4, PC, and Wii U.